Forza Horizon 4 has just gone gold and will be launching globally on October 2. This racing title will come with no less than 450 cars, but those eager to take it for a spin can play the official demo which is already available for both Windows 10 PCs and Xbox One consoles. Although Forza Horizon 4 will launch globally on October 2, the fans of this racing game can celebrate already. Yesterday, the game has officially gone gold and the demo also became available for Windows 10 and Xbox One users. The game includes an impressive amount of vehicles in the standard release — no less than 450. However, additional packs will bring in even more cars to enjoy. For now, the only pack announced is the Best of Bond Car Pack (the Day One Car Pack) that will be included in Forza Horizon 4 Ultimate Edition and will be available with early access to the game, starting September 28. The cars included in this pack were featured in Goldfinger (1964), Skyfall (2012), Spectre (2015), and other James Bond movies. The free demo of Forza Horizon 4 delivers a tour of historic Britain and allows its players to experience all four seasons. The best part about this story — only available for the US and Canada, unfortunately — is the Forza Horizon 4 Demo Sweepstakes. 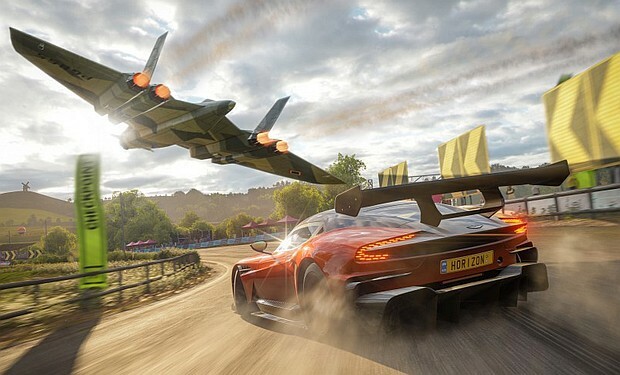 Two winners will get an all-expenses-paid trip and participation in Pure McLaren, as well as an Xbox One X, a copy of Forza Horizon 4, and an Elite Controller.